5 guys who love to sing. Music in every style under the sun. No instruments. Olga. Hoera!! Olga Vocal Ensemble - Viking CD by Olga Vocal Ensemble is geslaagd! Dankzij 98 donaties die samen € 5.385 opleverden voor Olga Vocal Ensemble. Olga wants to record a Viking CD - Nordic exploration, beautiful harmony, and lots of testosterone! The Idea - We want to record a new CD - with a Viking theme! Why a Viking Theme? - Because Vikings are awesome! The Music - We've been preparing a new 2016 concert program with a Nordic theme: Viking lands and the lands Vikings visited. Featuring music from 11 different countries and poetry in 13 different languages, we've had our work cut out for us! Starting in May, we'll be taking this program on tour around the Netherlands, France, Iceland, and (in February 2017) to the US. The songlist bridges genres as well as times and distances - we have classical composers such as Grieg, Sibelius, Mäntyjärvi, and Tormis, next to folk music both ancient and recent, next to pop and jazz from such modern masters as Icelandic Björk and Sigur Rós. Oh, and ABBA, of course! How Viking is that? To give you a taste, here's an amazing Icelandic hymn called Heyr himna smiður. Why a new CD? - We've grown A LOT since our last CD in 2014, as an ensemble, as individual singers, and as musical people. And that development wouldn't have been possible without the unwavering support of our amazing fans. We feel we owe it to them - to give them a new CD that shows what we can do. Why Crowdfunding? - CD recording is expensive! And even though we've grown so much as an ensemble, making a CD is still tough, and we really want to bring more of our music to our fans. So, dear Olga fans, we need your help! 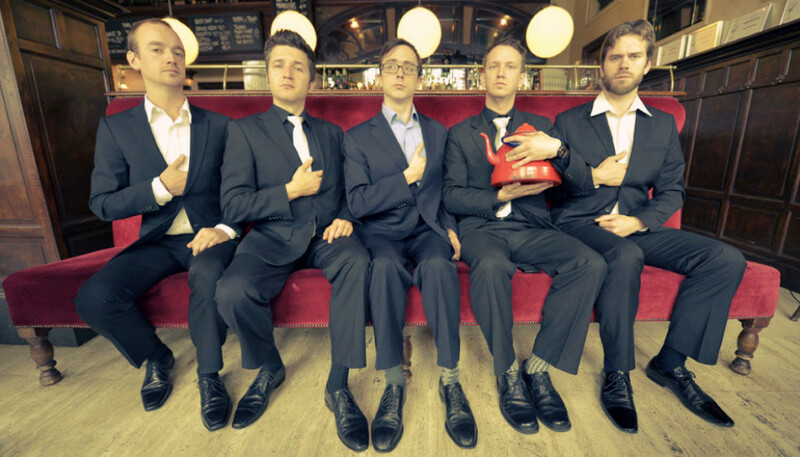 The Band - Olga is a five-man a cappella vocal ensemble, founded in 2012 in Utrecht. 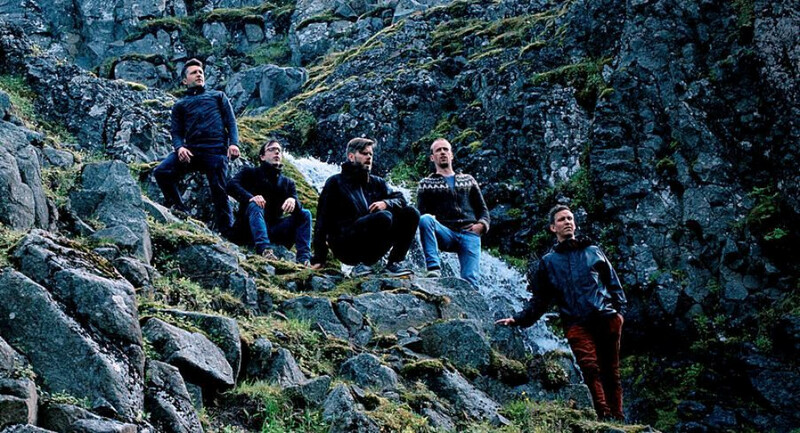 The five members - Bjarni Guðmundsson (tenor), Jonathan Ploeg (tenor), Gulian van Nierop (baritone), Pétur Oddbergur Heimisson (bass), and Philip Barkhudarov (bass) - bring a wide range of sound and experience to the group. Our programs, mixing classical, folk, pop, and jazz, are as varied as our nationalities – Dutch, Icelandic, and Russian-American! On top of the music and the voices, we always strive to bring charisma to our concerts and, most importantly, a strong connection with our audiences. Concerts shouldn't be stiff or academic, they should be relaxed and exciting! And that's what Olga is all about. For more information find us on our website, on Youtube, and on Facebook. April - We'll be crowdfunding like crazy people. We'll also get a slick new look and a photoshoot for our Viking theme and for the CD cover art. Also time to apply to Buma Stemra for music rights. 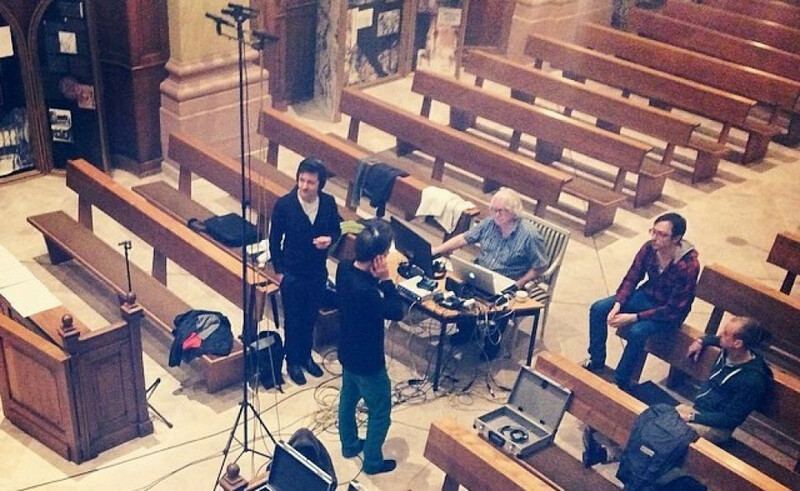 May - We'll record for five days in the first week of May, with an Icelandic choral sound engineer, Diddi Fiðla. We worked with him on our first album two years ago, and it was a perfect match. We'll bring Diddi and his equipment to Holland from his home in Germany, and the recordings will take place in a small venue in a quiet area – this is yet to be booked but will likely be a small church. The editing and mastering will happen in the second and third weeks of May. It's a relatively short process for us, since we're singing without instruments and without individual microphones. Goede video, ambitieuze mannen, mooie muziek. Als 'Stichting Weg van de Vikingen' vinden wij dat wij aan dit project ook een steentje moeten bijdragen. You are simply awesome !!! WAAROM ? Zonder kunst en cultuur is er geen verleden en geen toekomst. DAAROM ! Ik ben gewoon hun fan. Olga is cool en de jongens die erin zingen ook. :-) Cause I love these guys and what they do.